Chanson Water ionizer was tested and proven by independent testing in a very prestigious lab and research center in Taiwan, to measure 47.82 Hz. which is the tiniest possible cluster of water molecules, and is characterized as high-reduction power or (ORP) with high oxygen content. Its natural physical reaction equips regular water with higher anti-oxidization value and is considered in Taiwan to be capable of improving health due to the microclustering and antioxidant value. Chemistry and Physics prove that not all waters are the same. 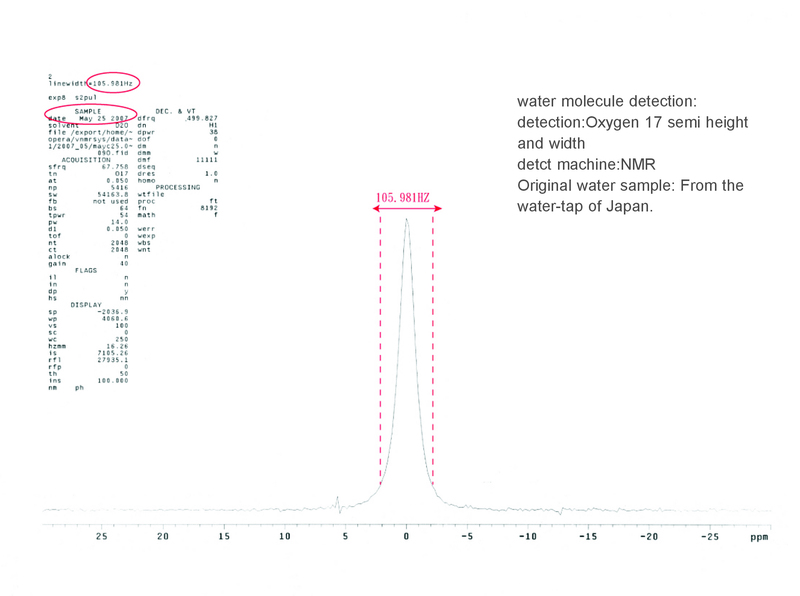 Nuclear Magnetic Resonance(NMR) is used to determine water molecular size. This is one of the few ways known to verify a small water cluster(size). NMR relaxation time reflects the speed of molecular rotation (how long it takes for a molecule to return to its original position after magnetic alignment). Larger molecular structures (water clusters) take longer to realign themselves. NMR measures this as a linewidth for a comparison of molecular size – the wider the linewidth, the larger the molecule. According to data published in The Water Puzzle and the Hexagonal Key, by Dr. Jhon, normal tap water can have a linewidth anywhere from 100 to 150 Hz, indicating an unorganized state of the water and a cluster size of 12 to 13 water molecules per cluster. 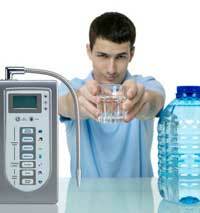 On the other hand, ionized water is known to achieve between a 60-70 linewith. As you will see on the chart below, Chanson Water has been 3rd party independently lab tested at an incredibly small 47.82 Hz. The table below illustrates various NMR linewidths for different types of water. Remember, the smaller the line width, the smaller the water cluster and the greater its chance of penetrating the cellular membrane and thus becoming part of the intra-cellular water. Very few brands have paid to have this expensive testing done. Water with the smaller molecule size like Chanson alkaline ionized water from a Chanson water ionizer is more hydrating because it can penetrate your cells more easily than larger waters.